If you are a smoker looking for an eLiquid that is close to the real thing, Smoker’s Choice by Revolver is for you! 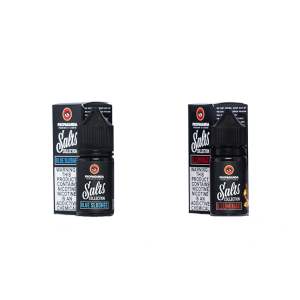 We offer a number of different tobacco blends that will satisfy any smoker making the switch to vaping. Blackend Blend – A dark bold tobacco with a touch of clove. Captain’s Blend – Light nutty tobacco with notes of oak wood. Cuban Cigar – Pronounced and unique bold flavor. Elder’s Pipe -Soft tobacco with a touch caramel and vanilla. French Pipe – Bold tobacco fused with honey and graham cracker. Hailstorm – Desert tobacco blended with menthol. Sandstorm – Bold desert tobacco. Strong & Burley – Vibrant burley tobacco with a touch sweetness. USA Tobacco – Strong western blend of tobacco. Vanilla Bourbon – Aromatic bourbon with touches of coconut and cream.